West Bengal Chief Minister Mamata Banerjee has announced that the elections to Gorkhaland Territorial Administration (GTA) will be held after the general elections in 2019. 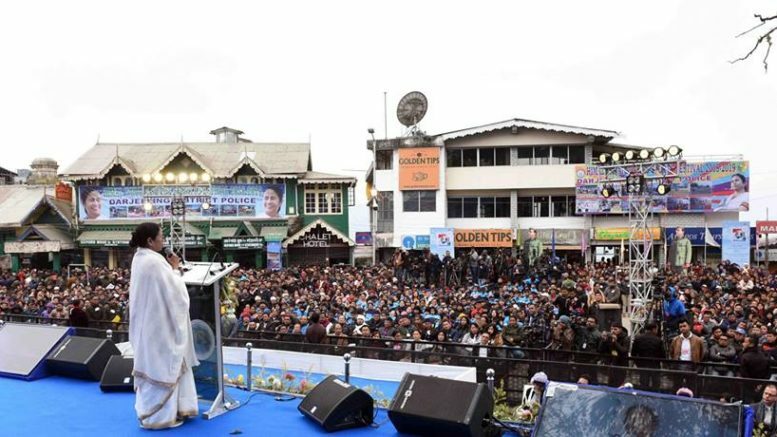 Speaking at Chowrasta on the occasion of Netaji Subash Chandra Bose’s birth anniversary yesterday, Mamata said that her government will try to explore a permanent solution to hill aspirations by reviewing the GTA accord. She also hinted that the GTA elections will be held after the Lok Sabha elections. “Before the next GTA election, which will happen after the Lok Sabha polls, we will review the Darjeeling (GTA) Accord. We want to explore whether something more effective can be done” she said. The MoU for the creation of GTA was signed on July 18, 2011 at Pintail village near Siliguri in the presence of then Union Home Minister P Chidambaram, Chief Minister Mamata Banerjee and Gorkha Janmukti Morcha (GJM) leaders. It was signed by state Home Secretary G D Gautama, Union Home Ministry Joint Secretary K K Pathak and GJM general secretary Roshan Giri. As per the MoU, 59 subjects were to be transferred to the GTA. However, despite the MoU and the GTA Act, the Mamata government had turned GTA as an implementing agency, rather than a governance body. 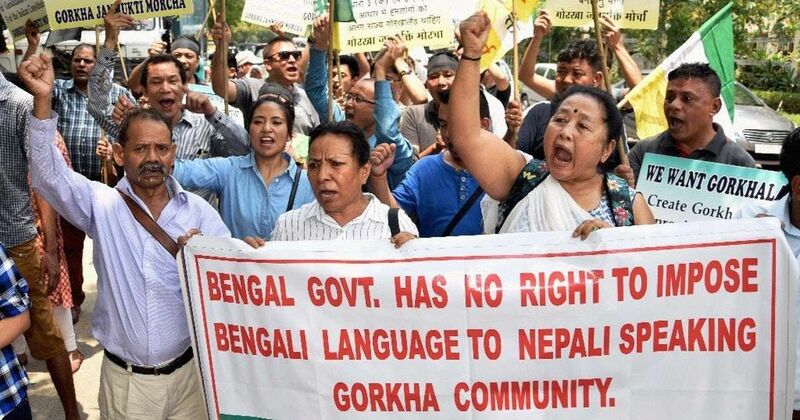 This had caused rift between the hill politicians at the helm of GTA and the Bengal government. 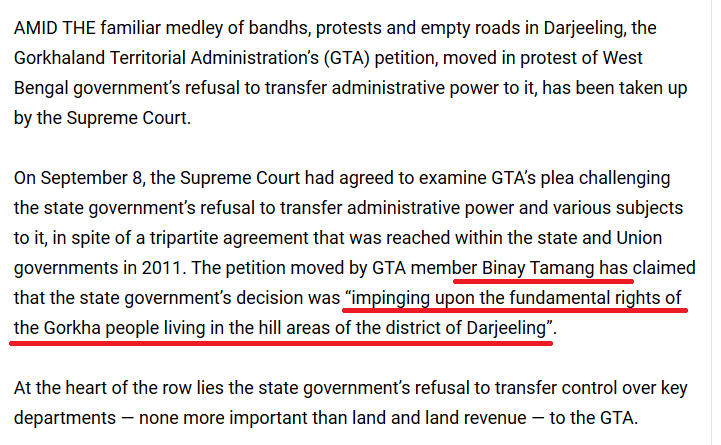 While in power, the then GTA chief Bimal Gurung complained of repeated interference by the Bengal government in running of the GTA, and ironically the current GTA Board of Administrator’s Chairman Binay Tamang had filed a case on behalf of the GTA against the Bengal government. 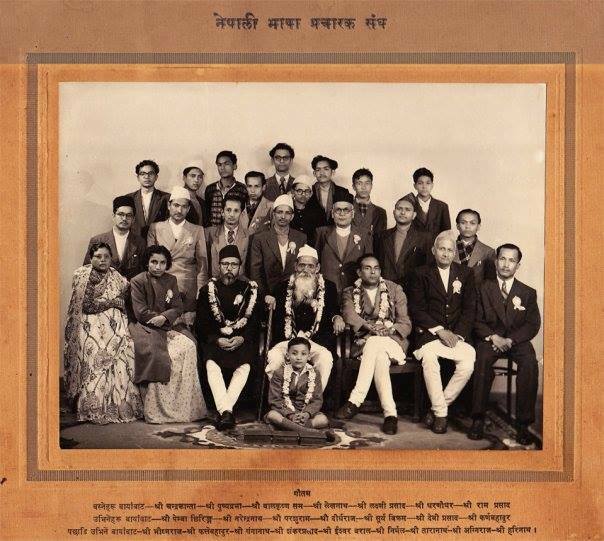 At that time, he had claimed that non-transference of power to GTA was “impinging upon the fundamental rights of the Gorkha people living in the hill areas of the district of Darjeeling”. 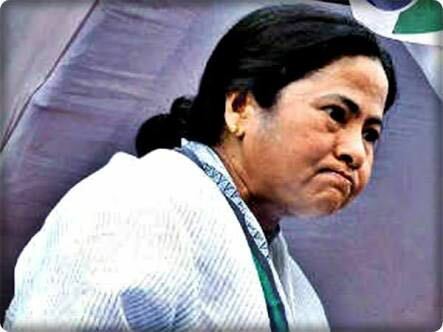 Irrespective of the general elections results, Mamata’s announcement to review the GTA Act holds significance, as indirectly its an admission to the current GTA set up being a failure. INVICTUS – TheDC Journey: 5 Pura Pugera 6 Lagyohai!